The Army been called in to help with the final stages of the Storm Frank clear-up in an Aberdeenshire village devastated by flooding. 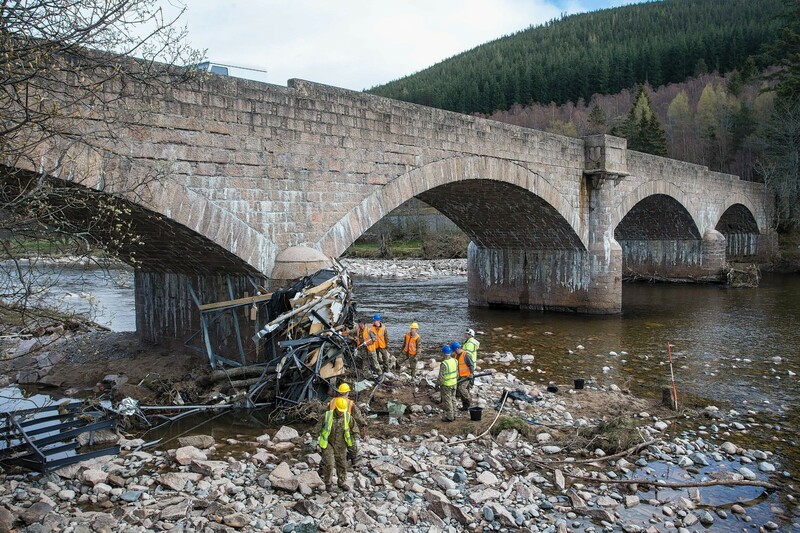 Just a few miles from the Queen’s summer retreat at Balmoral Castle, troops got to work removing debris from the arches of Ballater’s Royal Bridge using specialist equipment. The soldiers from the 2 Close Support Battalion of the Royal Electrical and Mechanical Engineers brought in a huge forklift for the operation. The Leuchars-based troops started the work yesterday and were due to complete it today. 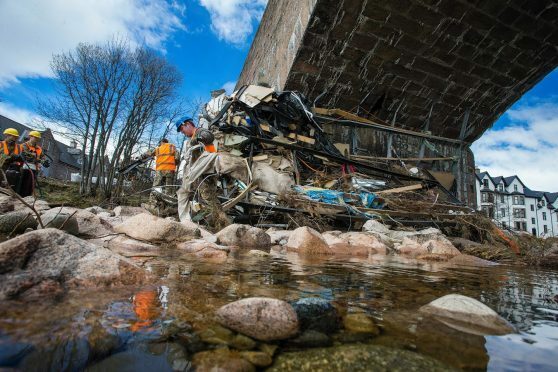 The last of the debris left behind after Storm Frank had been clinging to the river crossing since December and was becoming a major issue of concern in Ballater. 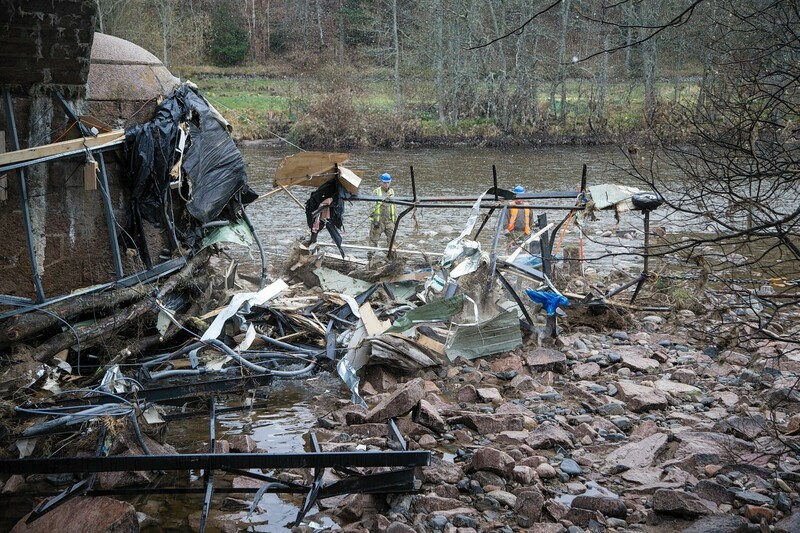 The mess was largely the remnants of the 40 static caravans from the village sent sailing down the Dee after the flood bank at Ballater Golf Club burst on December 30, sending water pouring the village. In Ballater, 307 homes and 60 businesses were flooded. 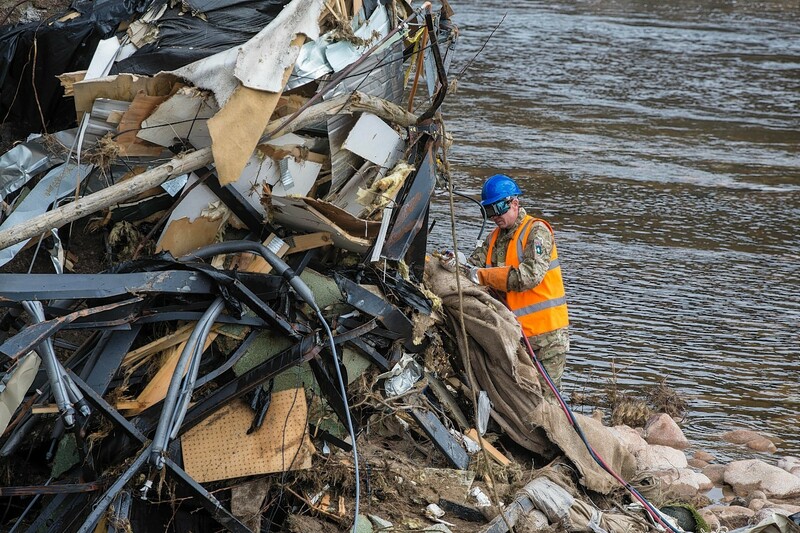 Second Lieutenant Peter Wallis said the soldiers felt proud to help get rid of a “reminder” of the devastating floods. He added: “It has been great, everyone here has been incredibly friendly. It was quite humbling to see the scale of damage here. “Normally this is for a lot of pulling vehicles out of ditches, that is what that bit of kit is made for. “It is doing the same thing but having to think outside of the box. We don’t want to disrupt the fishing downstream. 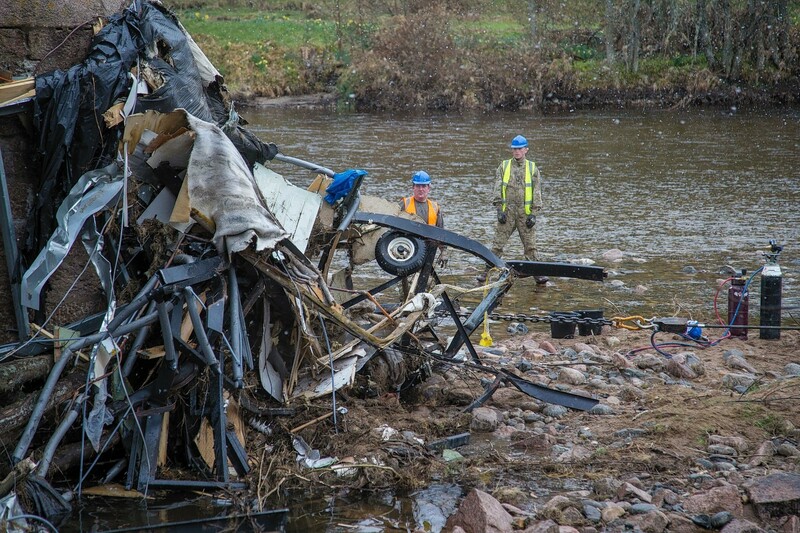 Aberdeenshire Council’s principal waste officer, Ian Milne – who co-ordinated the caravan park clear-up – said he received a call from an Army captain out of the blue offering their assistance. He also hailed the volunteers who have been clearing the Dee of mess since the floods. Mr Milne added: “There was a lot of textiles, a lot of wood, the majority of the mess was from the caravans. “It would have been very difficult to do ourselves. We’d have had to block off the road and bring in cranes. The floods damaged 300 bridges across Aberdeenshire and the royal crossing will now assessed to establish its structural integrity.